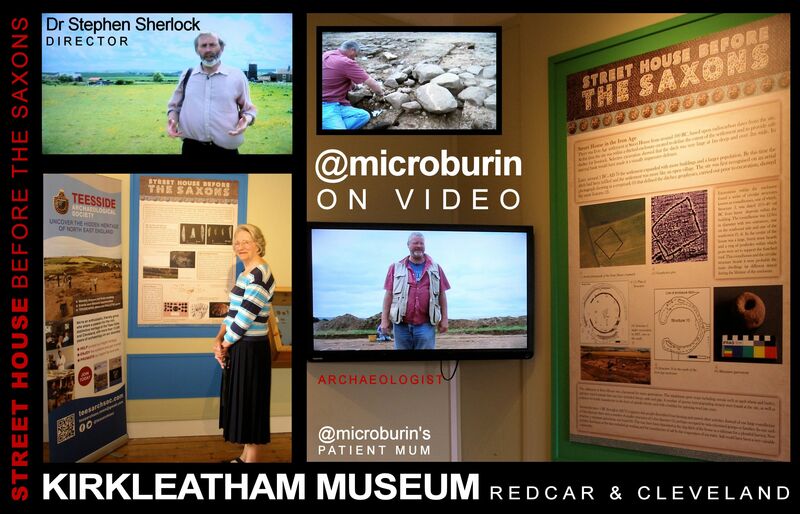 As if the world isn’t dangerous enough, @microburin is now on video – sounding alarmingly like Prince Harry – at Kirkleatham Museum, Redcar & Cleveland. The video introduces the Street House Before the Saxons exhibition which runs until July 2015. There are a few of my Mesolithic flint images (and text) on the info-boards too. The Street House Farm archaeology project has been running since the 1980s under the directorship of Steve Sherlock, archaeologist extraordinaire and the chap currently responsible for the archaeological oversight of the A1(M) works between Leeming and Barton, including Roman Catterick CATARACTONIUM fort and town. Street House, near Loftus in East Cleveland, has archaeological remains from at least the Neolithic − an early timber mortuary structure – through numerous Bronze Age burial mounds (and a wossit), an extensive Iron Age farming community who were probably making and selling salt, Romano-British canny folk who were manufacturing Whitby Jet objects like beads, spindle whorls and probably pins, with suggestions of continuity into the early post-Roman ‘dark ages’. 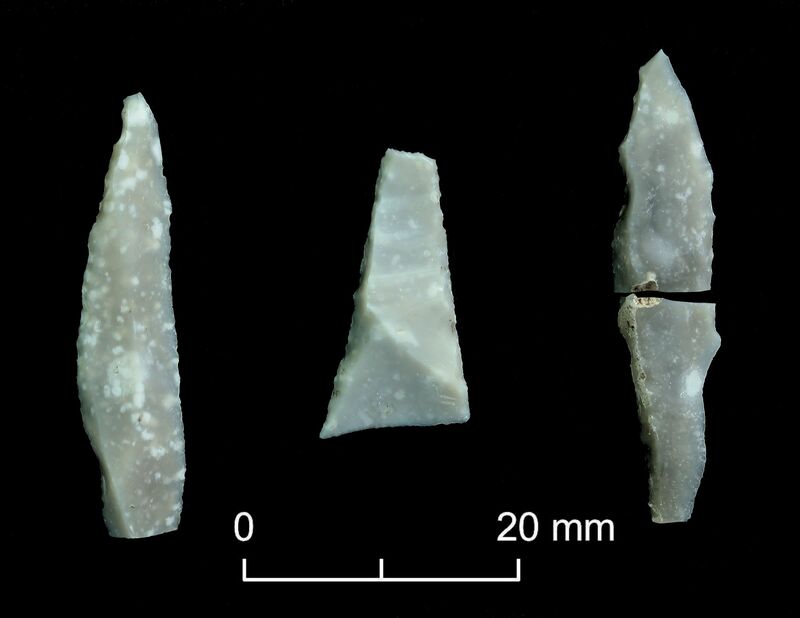 There are also hints in the lithics of possible Later/Terminal Mesolithic activity, which is right up my street. Of course, despite many thousands of years of human activity, Street House is probably best known for the Anglo-Saxon Royal Princess buried in a 7th-century AD cemetery, in her bed, with breathtaking jewels of gold and garnet, on permanent display. Do try visit both exhibitions—and peruse the Street House Roman phallus carving from the 2013 excavations? This entry was posted in British archaeology, Digs, Events and activities, Microburin miscellaneous, Sites and finds, Teesside archaeology and tagged Archaeology, Bronze Age, Kirkleatham Museum, Loftus, Microburin, Neolithic, North York Moors, North-East England, Prehistory, Redcar & Cleveland, Street House, Teesside Archaeological Society by Spencer Carter. Bookmark the permalink.